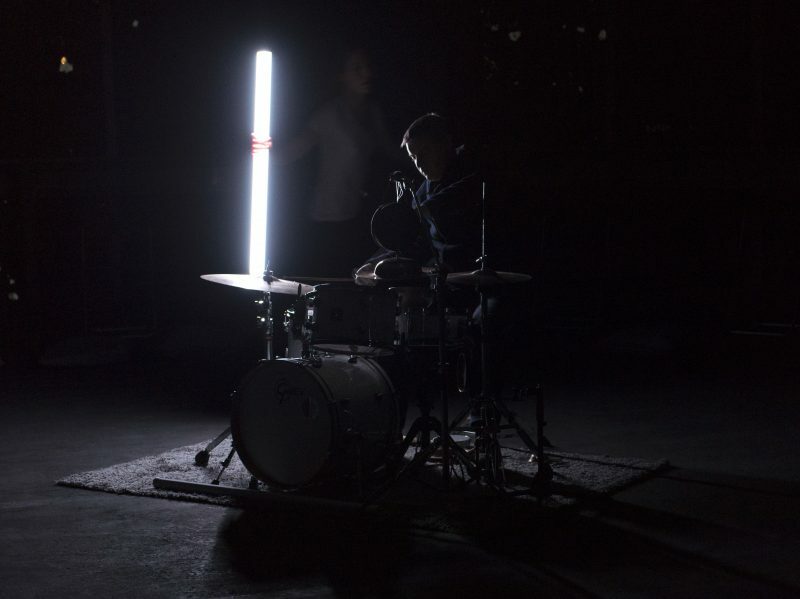 The drummer Will Guthrie and the choreographer/dancer Mette Ingvartsen have been following each other’s work and collaborating at a distance over the past 5 years. 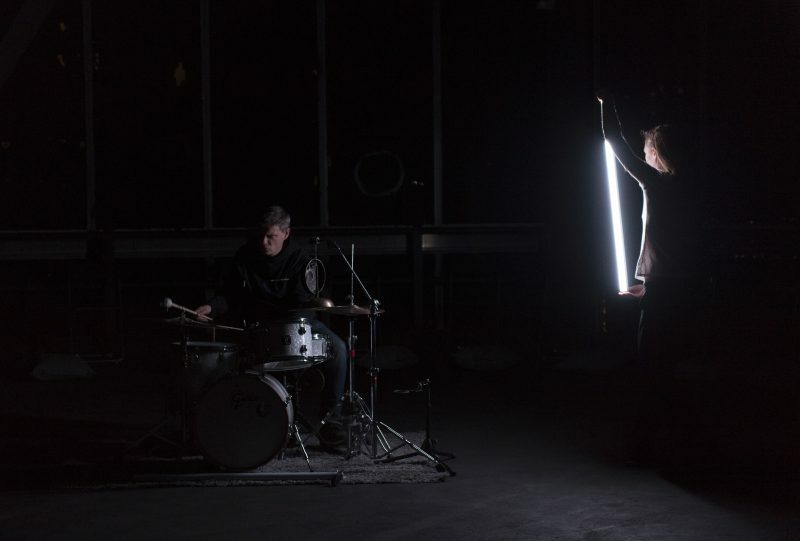 In this drum/dance/duo they perform live together for the first time, bringing their respective disciplines into close proximity. 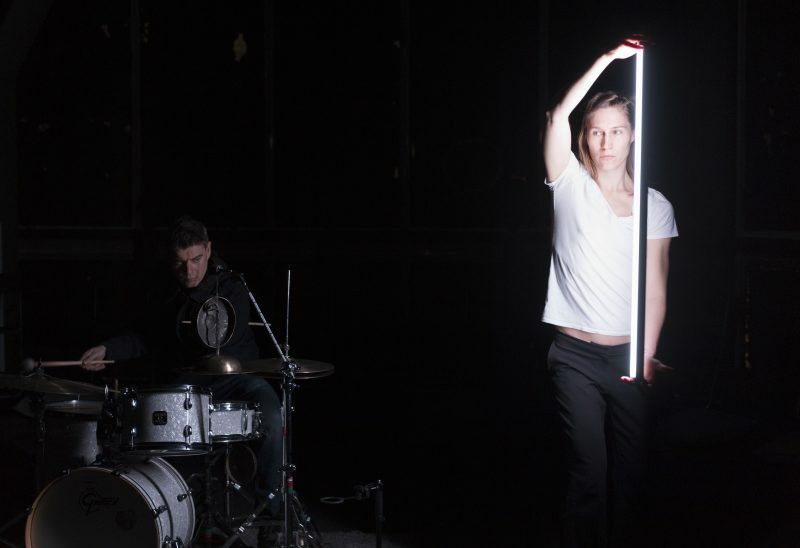 The result is a fusion of forms: a music concert with dance. 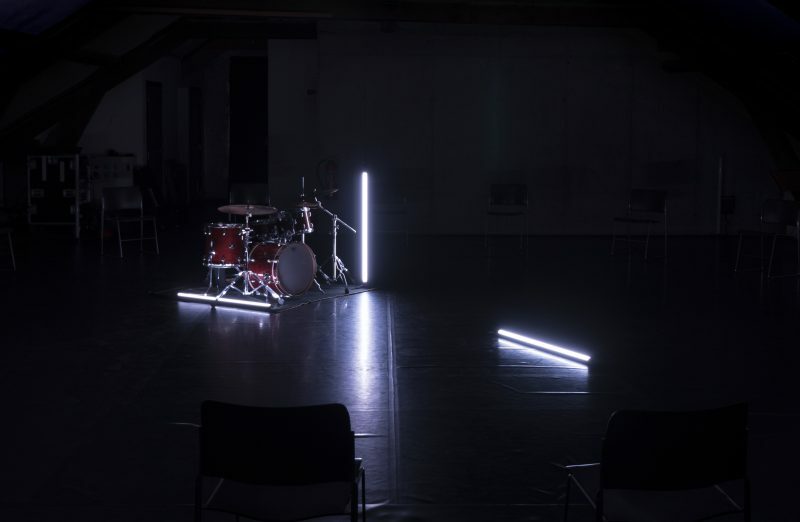 In All Around the audience encircles a performance space inhabited by a drum kit, a moving light and the performers’ bodies. By using a minimal and repetitive vocabulary, spinning and turning, rhythm and speed become the main components of a performance that drives towards an ecstatic and trance-like intensity.